The 2016 GNBA season kicked off on Saturday with regional play taking place in Waukegan, Ill. As some of the nation’s top up and coming prospects too center stage, Foster Wonders was one who emerged from the pack, putting together two big performances for the Wisconsin Playground Warriors and lead guard Trey Baker stood out in a couple of victories for Kessel Heat. Baker was terrific during a blowout victory over the Elite Soldiers. Scoring a game-high 27 points, Baker dictated the game from start to finish. He was a cool 13-of-21 from the field on Saturday. Baker also racked up four steals, added three rebounds, and knocked down a triple in the win. Flory is a versatile forward that takes advantage of mismatch opportunities very nicely. Able to slash from as far out as the perimeter, Flory scored 20 points in a win over Mac Irvin Fire Saturday night. Flory got to the rim at will, going 10-of-11 from the field. Also an imposing defensive presence, Flory added six rebounds and two blocks in the victory. Gitzen paced Minnesota Basketball Academy during Saturday’s win over the OSA Crusaders. Gitzen scored a game-high 18 points in the victory. He was very efficient from the field, going 7-for-11 shooting. Gitzen also made four of his seven three-point field goal attempts and added five rebounds to his stat line. Hannah recorded a double-double with 19 points and 11 rebounds, both team highs. Shining during Saturday’s loss to All-In Young & Reckless, Hannah was 9-for-15 shooting from the field. He also added two assists, one steal, and one block in the defeat. The 6-foot-1 forward has some nice length and bounce that he used to his advantage on Saturday. Heinen had a double-double in Saturday’s nightcap. Leading the Wisconsin Shooters to a win over the Wisconsin Playmakers, Heinen had a double-double with 16 points and 15 rebounds. He was 8-of-12 from the field, all inside the three-point arc. Heinen also grabbed a whopping nine offensive rebounds in the win. Hemphill led All-In Young & Reckless to an impressive 13-point victory over DTA on Saturday. Scoring a game-high 19 points, Hemphill was 7-of-13 from the field. Also in double-figures on the glass, Hemphill grabbed 11 rebounds, six of which were offensive. He also had three steals in the victory. 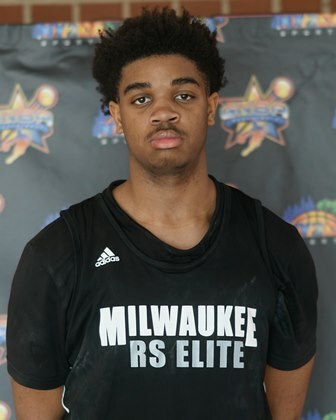 Jones had a great shooting effort in a win over the Milwaukee Spartans Saturday afternoon. Jones went for a game-high 26 points in a five-point win. On fire from downtown, Jones connected on six triples. Coming up big down the stretch, Jones made a number of plays in the waning moments to help the Falcons come out victorious. A very intriguing youngster, McDaniel dominates the interior practically every time he steps on the floor. A long, athletic forward, McDaniel dropped a double-double on Saturday with 15 points and 10 rebounds in short work during Saturday’s win over Martin Bros. McDaniel also added two blocks and two steals in the victory. Nesbitt contributed nearly half his team’s points in a six-point win over Team Getshook. Nesbitt led the way with a game-high 22 points. He was an effective 9-of-10 from the field and made a couple of key free throws down the stretch to stay perfect (4-4) from the foul line. Nesbitt also added five rebounds in Saturday’s win. Later in the day, Nesbitt scored 16 points on 8-of-10 shooting in a 30-point win over the Wisconsin Swing. He also added three steals in that one as well. Sibley had 21 points as Wisconsin United cruised to a blowout victory over Net Gain Sports Saturday afternoon. Sibley was 9-of-17 from the field and posted a double-double with a game-high 12 rebounds. Sibley killed the opposition on the offensive glass, gathering eight second-chances for his team. Smith led Future Elite to a one-point victory over the Milwaukee Spartans on Saturday. He went for 23 points on a near-perfect 7-of-8 shooting from the field. Smith got hot from beyond the arc, hitting three of his four attempts. He was also a perfect 6-for-6 from the charity stripe, helping Future Elite escape by a narrow margin. In perhaps the performance of the day, Terry exploded for 28 points in a one-point loss to Future Elite. Terry was nearly perfect from the field, going 12-of-13 shooting, all from inside the three-point arc. Terry also added five rebounds and one block in Saturday’s defeat. Weir is a good looking, up and coming post prospect. A very fluid player who runs the floor, Weir scored a game-high 22 points to pace the Illinois Irish in a loss to Team Getshook. Weir also had a game-high eight rebounds in the defeat. He was 9-of-16 from the field and also posted three steals and a block. William led Playground Elite in a six-point victory over Yanders Law. William was 11-for-13 shooting en route to a game-high 25 points on Saturday. Williams added two triples and three rebounds. When Playground Elite needed a big shot, they turned to William who delivered. William had another big effort Saturday night as well, scoring 21 points in a loss to Kessel Heat. Playing the entire game, Williams had a huge effort in Saturday’s win over the Wisconsin Swing. Recording a monster double-double of 27 points and 19 rebounds, Williams was dominant on both ends of the floor. He was 10-for-12 from the field and added a three-pointer. Williams also grabbed five offensive rebounds in the victory. Wonders has terrific versatility early in his career. A stretch forward who can handle and shoot the basketball, Wonders gave All-Ohio Purple all sorts of problems on Saturday. Wonders scored a game-high 25 points on 11-of-16 shooting. Wonders also grabbed a game-high seven rebounds in the loss. 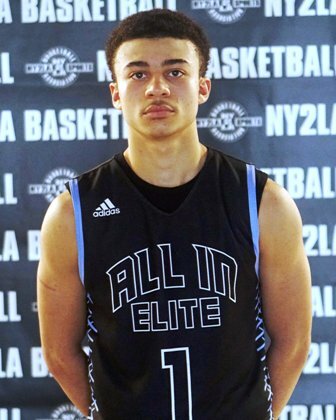 In Saturday night’s win over Iowa Elite, Wonders dropped a game-high 21 points on 9-of-11 shooting. He also posted team highs with six rebounds and three steals. Brown was pretty much perfect in Saturday’s win over Hoop Avenues and if you go strictly by his shooting percentage, that’s exactly what he was. Brown was 10-of-10 from the field en route to a game-high 21 points. Brown pretty much got to the rim at will, sparking Saturday’s effort. He also added two assists and two steals in the win. Later in the day, Brown posted 17 points and nine rebounds in a loss to Ray Allen Select. Meanstreets edged Ray Allen Select in a tight battle Saturday morning. Casey came up big with a team-high 18 points in the victory. He also made it double-double with 10 rebounds, including six offensive boards. Casey was a blistering 8-of-9 from the field and also added two blocks in the win. Casey added to his big day with 24 points in a win over Illinois Irish later in the day. He was 11-for-16 shooting and also added six rebounds in that one. Although Yanders Law came up short to the Wisconsin Shooters Saturday afternoon, Carrasquillo had a heck of an individual effort. Carrasquillo seemed to have his team on his back, going off for a game-high 25 points. He was a blistering 12-of-15 shooting from the field on Saturday. Carrasquillo was one rebound shy of a double-double and also added four steals in the defeat. Dorzler scored a game-high 19 points in Saturday’s win over Future Elite. Dorzler was a sizzling 7-of-9 from the field and hit some key free throws that aided the five-point victory. Dorzler was 4-for-5 from the charity stripe and also dished out a game-high four assists. Hamilton went off for 25 points as he led the Springfield Predators to a 19-point victory over Iowa Elite. Hamilton did take 23 shots, but contributed across the board, not just in the scoring column. Hamilton also posted team highs in rebounds (7), steals (5), and assists (3) in Saturday’s win. He wasn’t done either. In a loss to Wisconsin United in the afternoon, Hamilton dropped a game-high 33 points. With a game-high 20 points on Saturday, Hoban equaled the total output of the entire opposing team in a victory over Yanders Law. Hoban shined across the board, registering seven rebounds, six steals, and two assists. He was 7-of-11 shooting, including 3-for-5 from three-point range. Hoban topped that performance with 23 points on 7-of-9 shooting in a win over Mac Irvin Fire later that afternoon. Jones took over for Wisconsin United in their 20-point win over OSA Crusaders. Jones scored a game-high 22 points on 9-of-12 shooting. A consistent high scorer in GNBA, Jones was 3-of-5 shooting from beyond the arc and 6-for-7 from inside the arc. Look for many more big performances to come from Jones this spring. Kizer and the Illinois Irish rolled to a 10-point victory over the Milwaukee Rebels Saturday morning. Kizer exploded for a game-high 20 points on 7-of-14 shooting from the field. Perhaps even more impressive, Kizer racked up a game-high 18 rebounds, 11 of which were offensive. In a complete effort, Kizer also recorded four assists, three blocks, and two steals. Phillips had a nice effort in Saturday’s loss to Omaha Elite. Phillips came up with a game-high 15 points and knocked down two triples Phillips was 5-of-12 from the field. He also contributed six steals, five rebounds, and three assists in the defeat. Radke had a strong all-around effort in a victory over the Springfield Predators. Leading his team to a 40-point win, Radke scored a game-high 19 points on 9-of-18 shooting. Radke contributed in other areas as well, posting a team-high five assists, four rebounds, and two steals. Radke scored or assisted on 31 of his team’s 68 points Saturday afternoon. Trimble was big time down the stretch in Saturday’s win over Mac Irvin Fire. A high-IQ, skilled point guard, Trimble scored a game-high 25 points on 7-of-12 shooting. Trimble was cool under pressure, going 11-for-15 from the foul line, many of which came late in the game. He also had five rebounds and two assists in the victory. Ware nearly came up with a double-double in Saturday’s opener. Ware posted team highs with 10 points and nine rebounds in a loss to Illinois Attack. Ware was efficient around the basket, shooting 4-of-6 inside the three-point arc. He also grabbed three offensive boards and recorded an assist in Saturday’s defeat. Wrecke carried the load in Saturday’s loss to Team 1 Tyus. Wrecke scored nearly half his team’s points, coming up with 15 on an impressive 7-of-9 shooting from the floor. Wrecke got to the rim at will, scoring nearly all his points in the paint. He also came up with a game-high seven rebounds as well. In his second game, Wrecke had a double-double with 16 points and 13 rebounds in a win over Playground Elite in the afternoon. Young is a long, intriguing forward that made a lot of things happen on Saturday. Young came up with a game-high 18 points in a win over Illinois Speed. He nearly recorded a double-double with nine rebounds, all of which came on the offensive end of the floor. Young also added three assists and two steals in the victory.